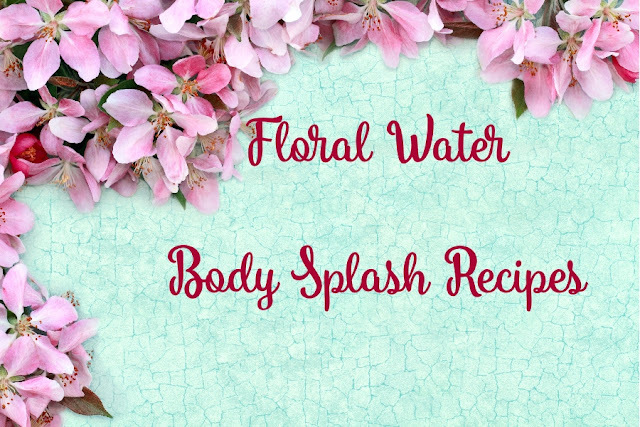 Floral Water Body Splash is PERFECT for hot weather. 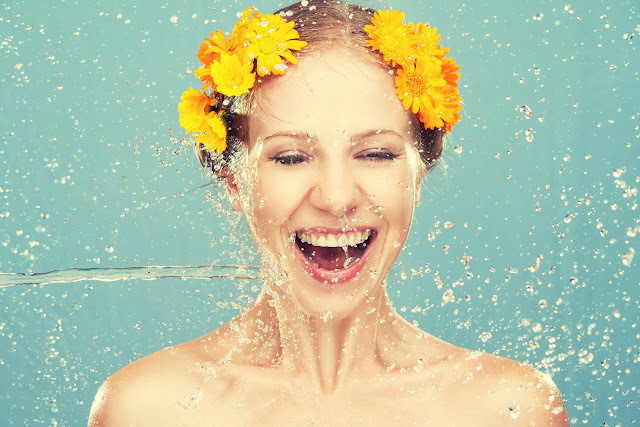 I love wearing my all-natural perfumes, but sometimes in the warmer months of the year, I like to splash on my handcrafted Floral Water Body Splash made with all-natural hydrosols. I keep a few refreshing blends in the cold fridge and use them after swimming, sunning, biking and just getting too hot from being outside all day. 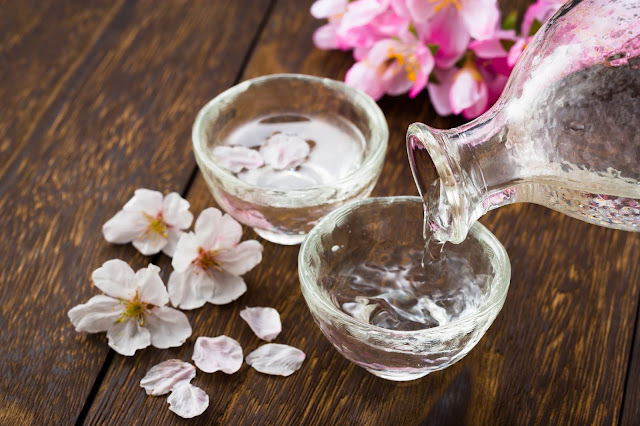 According to Mountain Rose Herbs, "Hydrosols, also known as floral waters, hydroflorates, flower waters or distillates are products from steam distilling plant materials. Hydrosols are like essential oils but in far less of a concentration. When a distiller brews plant material with water in a large cooker the steam fills the pot and, as it rises, it causes the glands of the plants to burst and release the oils and essence of the plant into the steam. The oil rises through a condenser and collects in a separate vessel. This is what we know as essential oil, but what about all that fragrant water that was steamed with the original plant material? That is our hydrosol, or floral water. Hydrosols are usually the result of essential oil production as a by-product but the highest quality hydrosols come from the devoted distillers who, with artist like precision steam the floral and plant material strictly to product a hydrosol." All the Hydrosols offered by Mountain Rose Herbs are produced in this fashion and are of the highest quality. Click HERE to learn more. Hydrosols are much lighter and less potent than essential oils and are perfect when a much softer and gentle fragrance is desired. Mountain Rose Herbs currently offers twenty-two beautiful and aromatic hydrosols. Bay Laurel: Has a bright, slightly medicinal, spicy green aroma, reminiscent of freshly crushed bay leaves. Blood Orange: A refreshing hydrosol that is sweet sunshine in a bottle. A sweet citrus aroma. Calendula: Refreshing, soothing, sweet, and floral. Chamomile: A light fruity floral aroma. Very calming and gentle. Clary Sage: Very gentle and calming with a pleasantly herbaceous and bittersweet floral aroma. 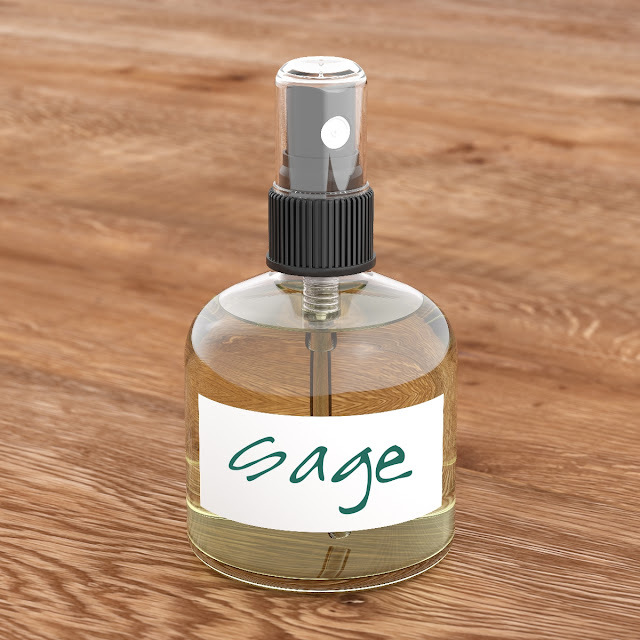 Much like the essential oil, but much softer. Cucumber: Refreshing, cooling, crisp aroma that is perfect for Summer. Smells like a fresh cucumber. Douglas Fir: Soft forest-like aroma that is green and slightly balsamic. Transport yourself to a mossy forest. Perfect for gender neutral aroma blends. Eucalyptus: Very delightful! Softly camphoraceous and cooling with green undertones. Helichrysum: Smells like a diluted version of the essential oil. Dry-green floral with earthy tea-like back notes. Lavender: Subtle, relaxing, balancing aroma with sweet floral top notes much like the essential oil but much more grassier and delicious. Lemon Balm: Very calming aroma! Lemon Verbena: Uplifting aroma which is perfect for hot cloudy days when you need a little emotional pick-me-up. Lime: Crisp, refreshing, invigorating with subtle citrus notes. Neroli: Delightful, uplifting, bitter-sweet citrusy floral aroma that is very delicious and complex. Peppermint: Minty, fresh, revitalizing, well rounded and robust. 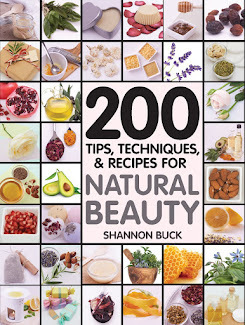 Great for misting on the feet and scalp. Rose Geranium:Very exotic and floral. One of my favorite bases for the body splash recipes. Rose: The QUEEN of the hydrosols. Smells like a rose with complex floral notes. Very sensual! Rosemary: Energizing and stimulating! Smells very lovely like fresh rosemary. Spearmint: Sweet, minty, reminiscent of an infusion of the fresh leaves. Calming and refreshing aroma. Tulsi (Holy Basil): Divine! Warm, soothing and slightly spicy aroma. Ylang Ylang: Smells exactly like a very subdued version of the essential oil. Sweet, intoxicating and floral. Customize your body mist exactly the way you like. Here are a few ideas to get your started! Each recipe makes a four ounce body splash. Store in a glass bottle and away from direct heat and sun. 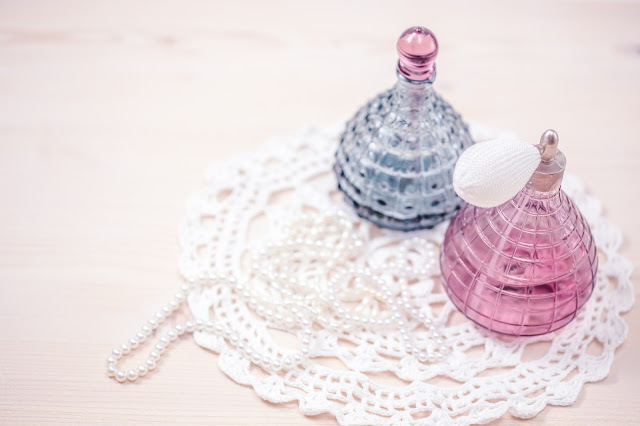 You can find beautiful refillable glass atomizers which are perfect to store your body splash in. The ideas are unlimited! What will you create? I would love to hear about your refreshing creations.